« Ireland: Cliffs, Waves, Wildlife ~ I LOVE County Clare! 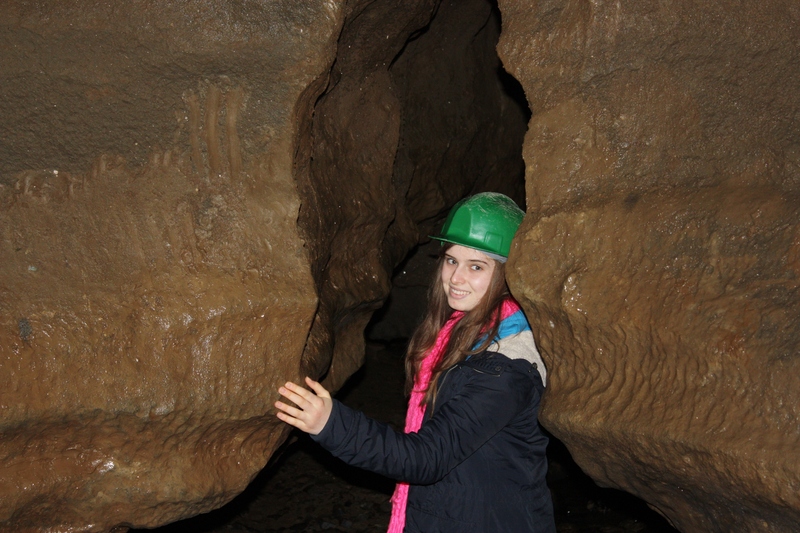 Doolin Caves has the Great Stalactite which we heard about from several locals in Doolin. 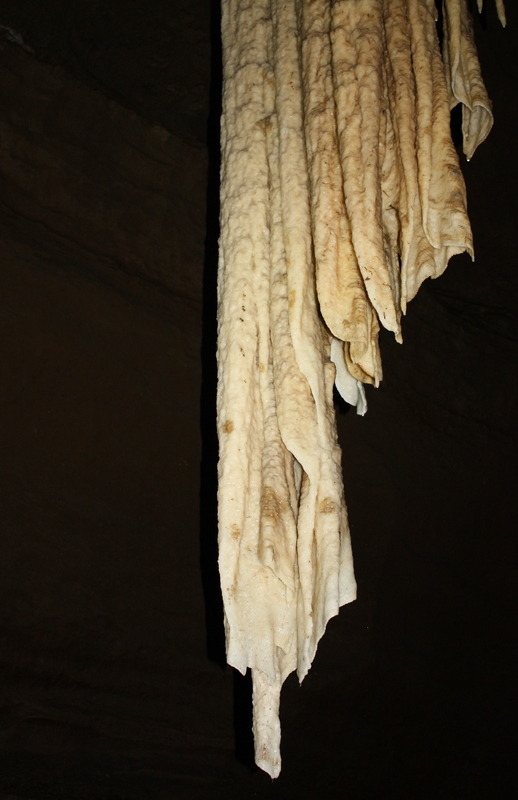 Having been to several caves in my past travels I wasn’t sure what to expect but have to say I was impressed by the Great Stalactite which at 23.5 ft (7.30 meters) is the longest free standing stalactite in the Northern Hemisphere. The tour begins by taking the stairs down 80 ft into a tunnel and from there you wander through to a dome area where you’ll see the impressive stalactite. The maximum allowed per tour is 20 people and we were thrilled there were only 6 of us on the last tour of the day. Our tour guide was very informative and did a great job giving us the history of the cave. Our tour was a little less than an hour but I imagine with more people it would be closer to a full hour tour. Hard hats are provided and a must since the cave ceiling is very low in some spots ~I managed to hit my head a couple times and I’m only 5’8″. Plan on getting a little muddy so don’t wear your favorite pair of shoes. If you’re in Doolin, take an hour to enjoy the cave ~ it’s worth it. Going through a passageway in the Doolin Cave. 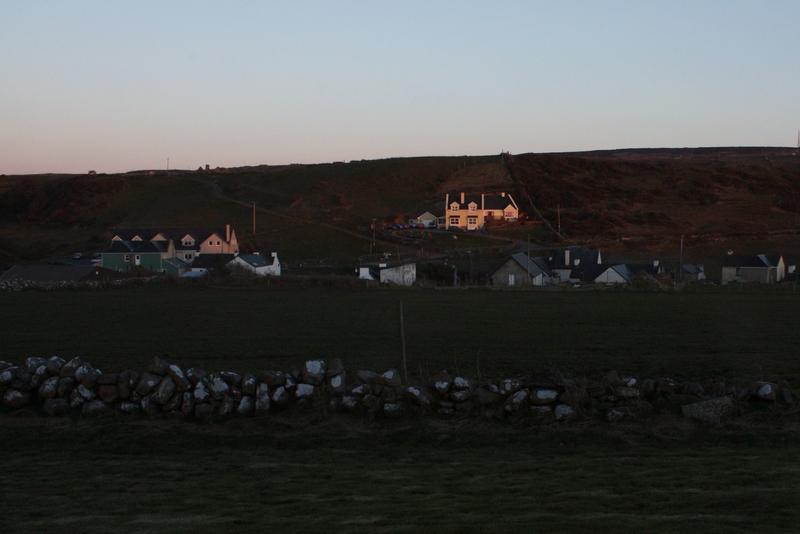 A couple more photos of Doolin before we head out for County Cork. Before sunrise in Doolin, Ireland. PS : would you mind if we’d share one of your post on our facebook page ? Happy you found (and like) my blog. We’ve told everyone we know how much we loved our visit to Doolin and about your lovely B&B. It was a great getaway for us. Please feel free to post on your FB page. 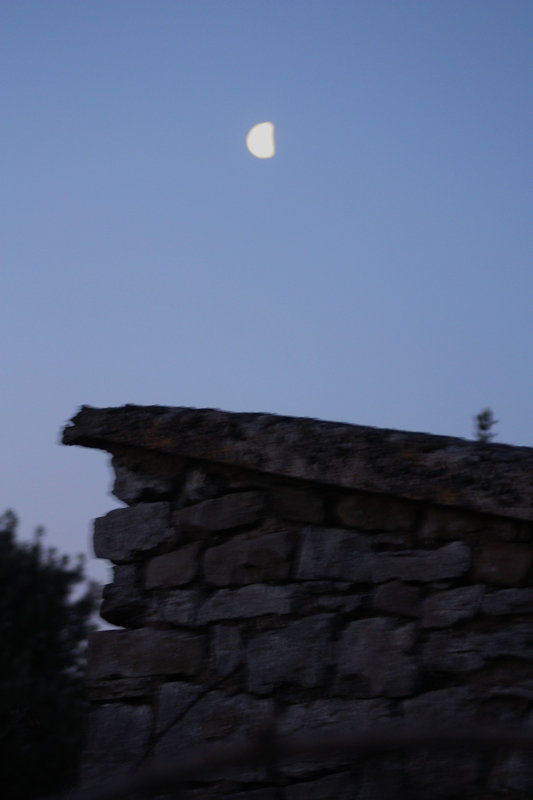 Hope to see you again at some stage + looking forward to read more posts of your blog ! Good luck with it ! Another awesome post. I love the pictures from inside the cave, so beautiful. Thanks! The Doolin cave was such a pleasant surprise for us ~ I almost skipped it.